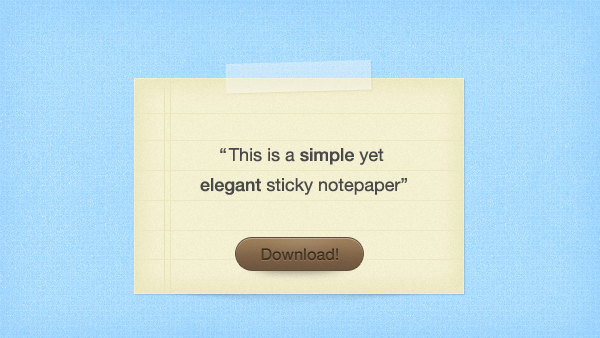 Download Sticky Notepaper Free PSD file. A “Sticky Notepaper” — a piece of paper with lined paper, a download button, and some sticky tape that wraps it all together! Really simple, but a useful starting point for your own note-style interface.